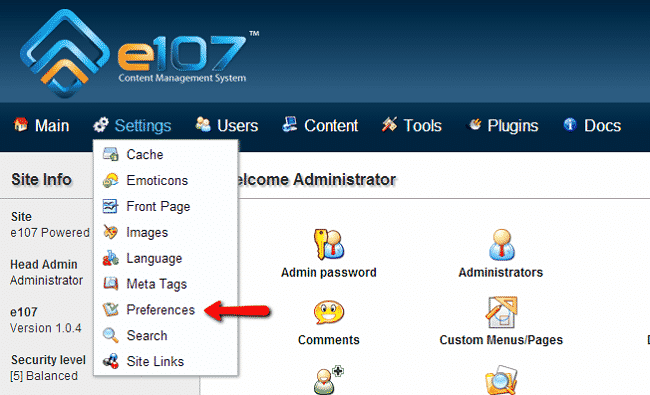 How to reset the admin password of e107? How to create backup of e107? How to transfer e107 from another host? How to Install Plugins in e107? How to Install a Language Pack in e107? How to Change e107 Themes? How to Setup e107 Timezone? How to Create a e107 Menu? How to Create an e107 Page? Review each of the settings and customize them as per your needs. Each of the available options is pretty much self-explanatory and we are confident that you will be able to configure the site without any issues. e107 is not right for you?